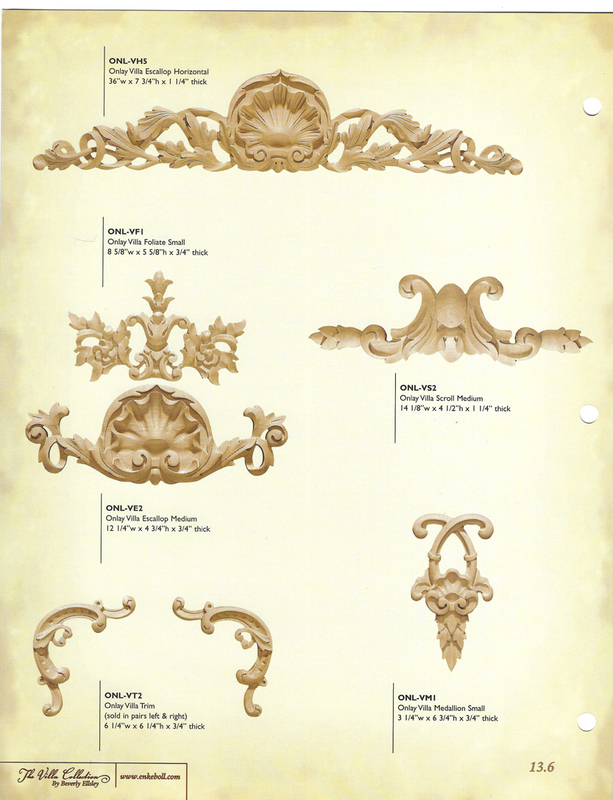 It was my great pleasure to design a large number of pieces for the Enkeboll company. 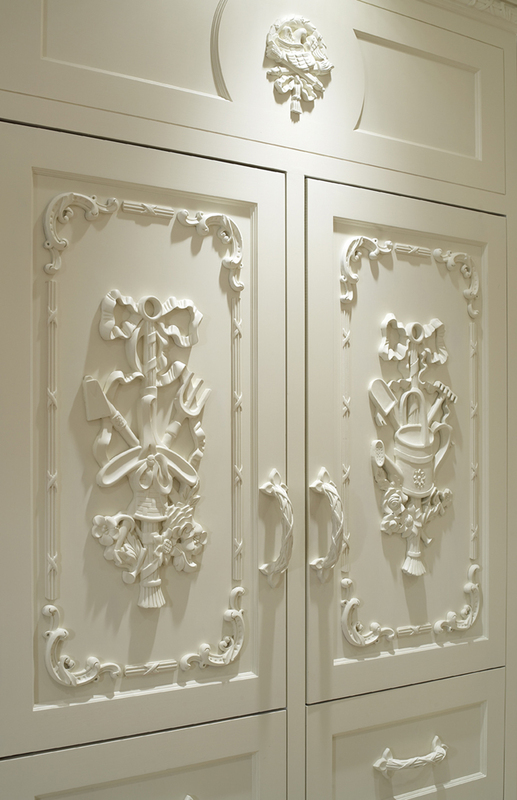 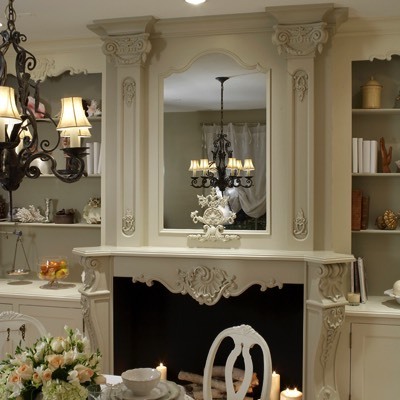 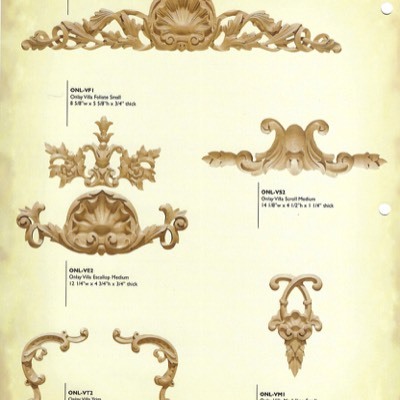 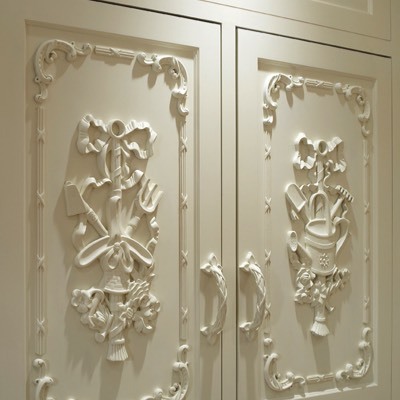 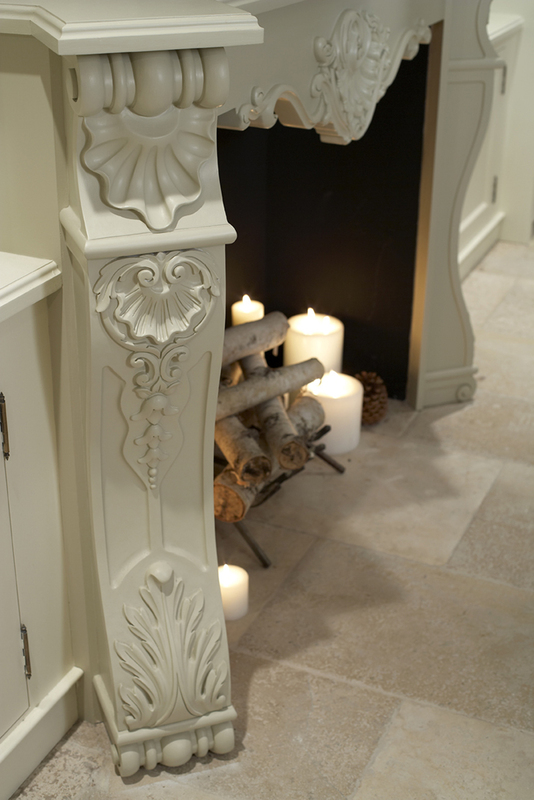 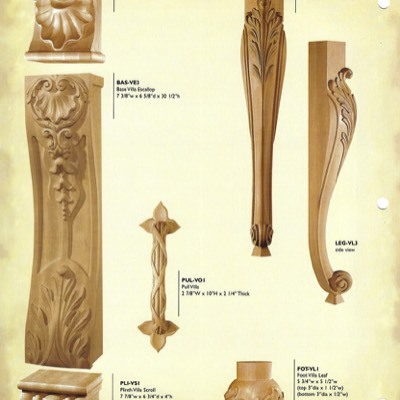 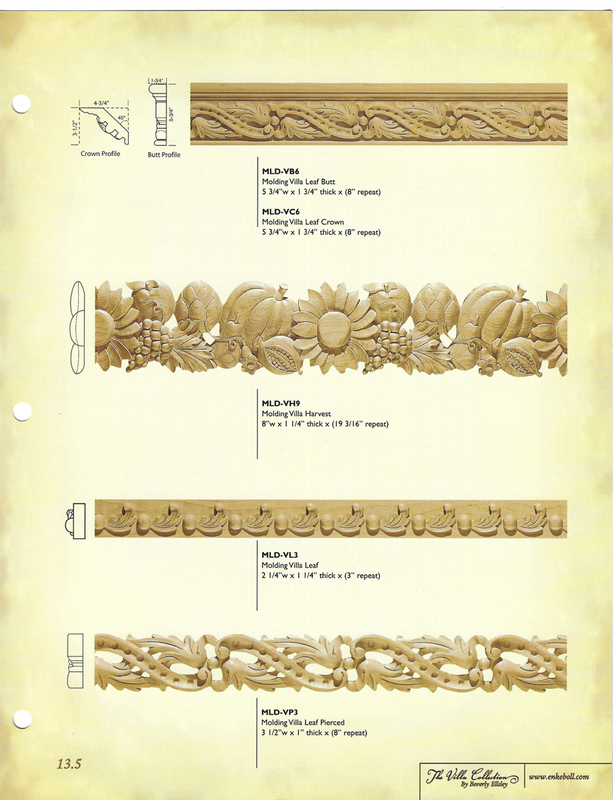 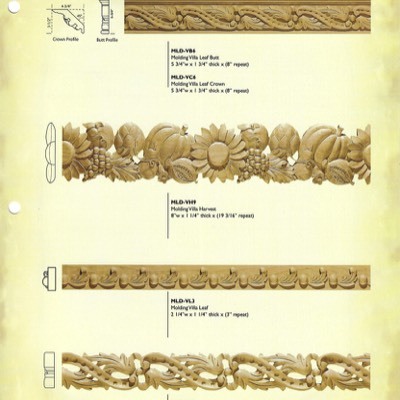 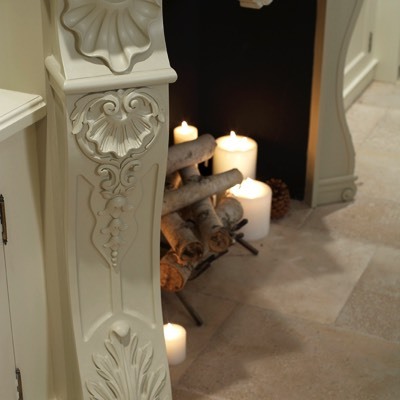 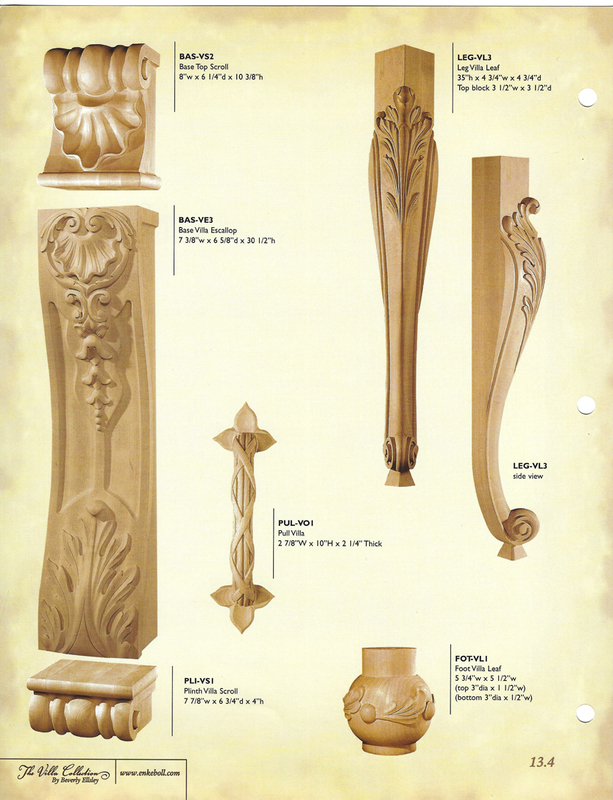 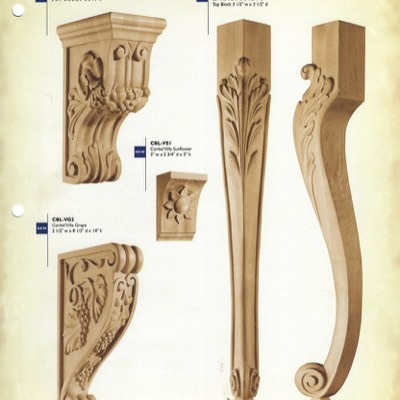 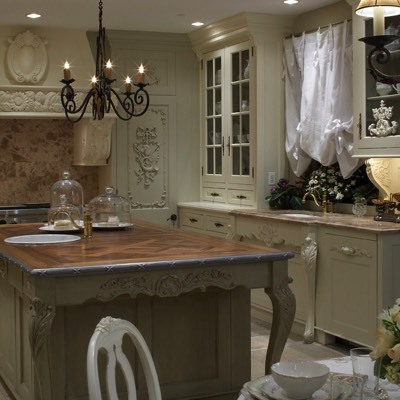 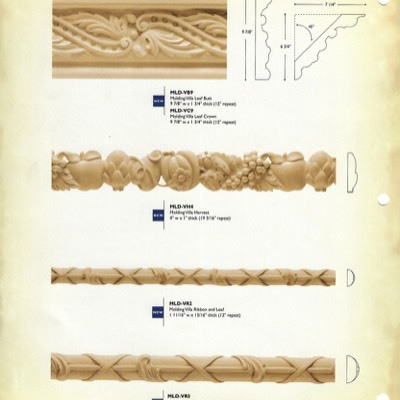 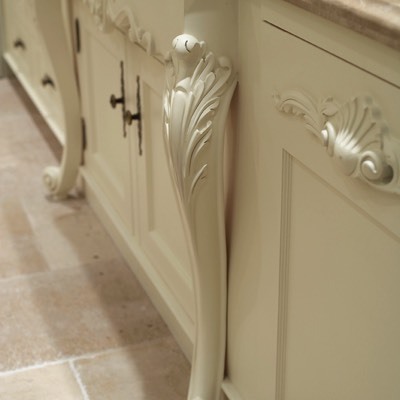 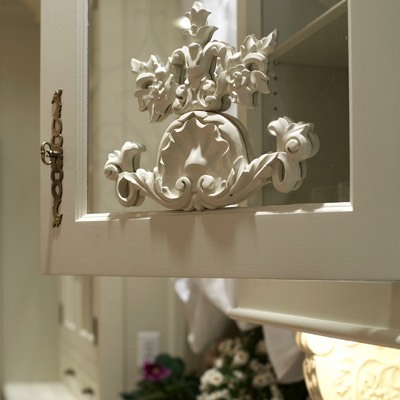 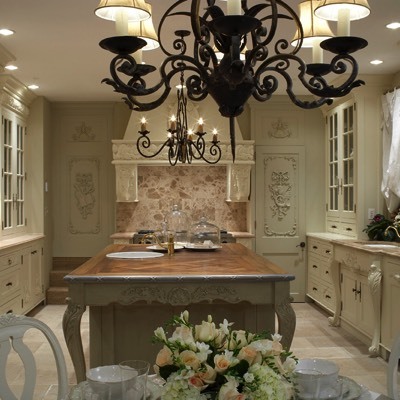 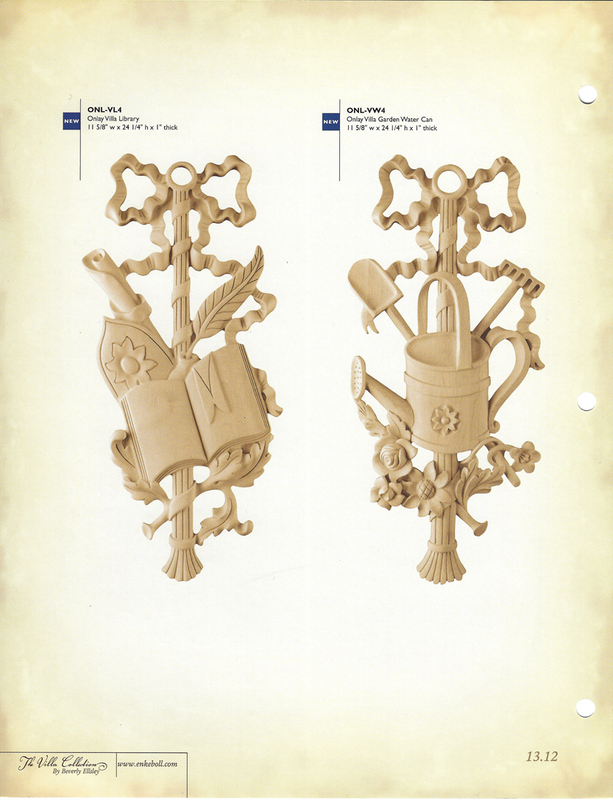 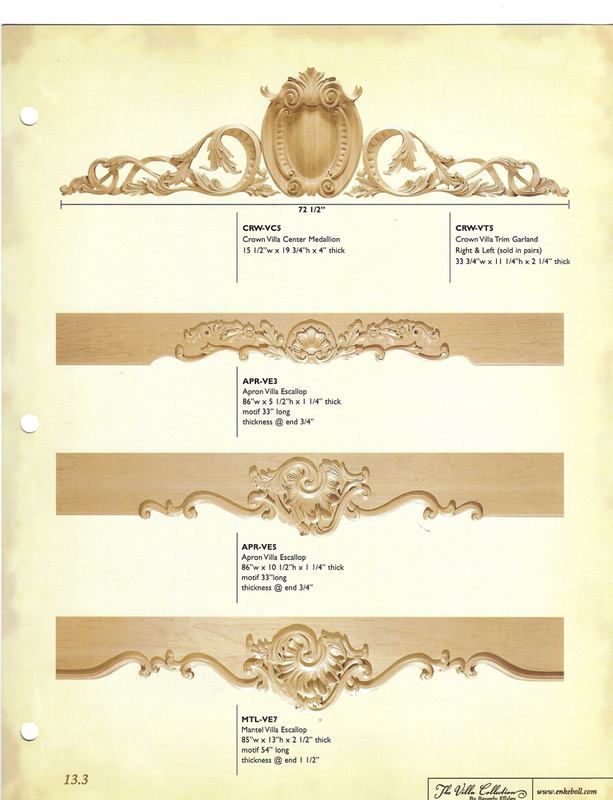 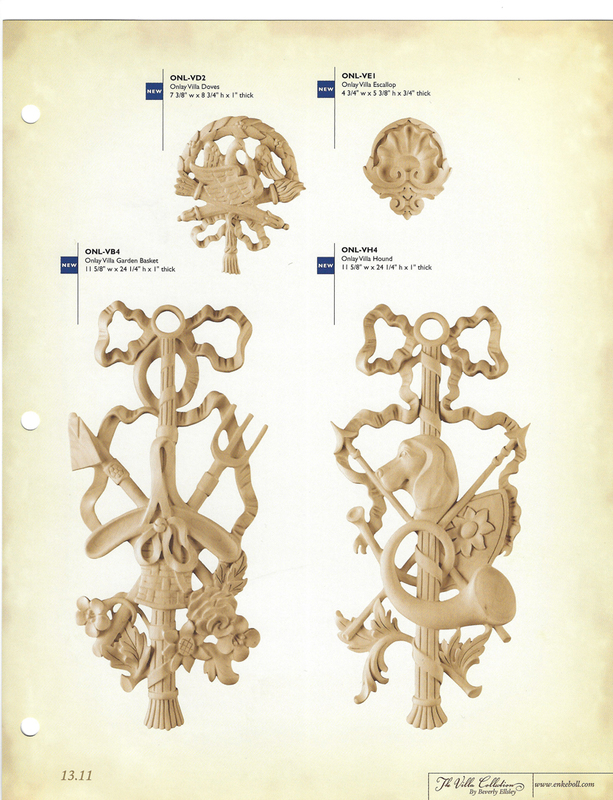 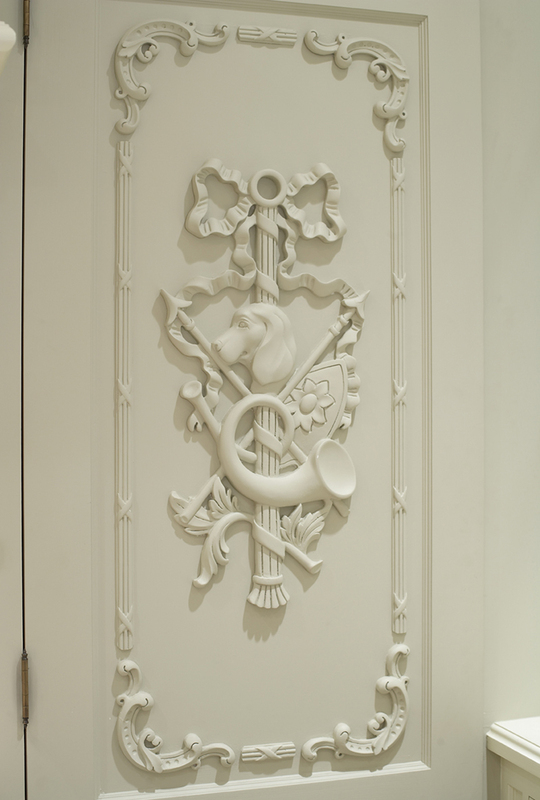 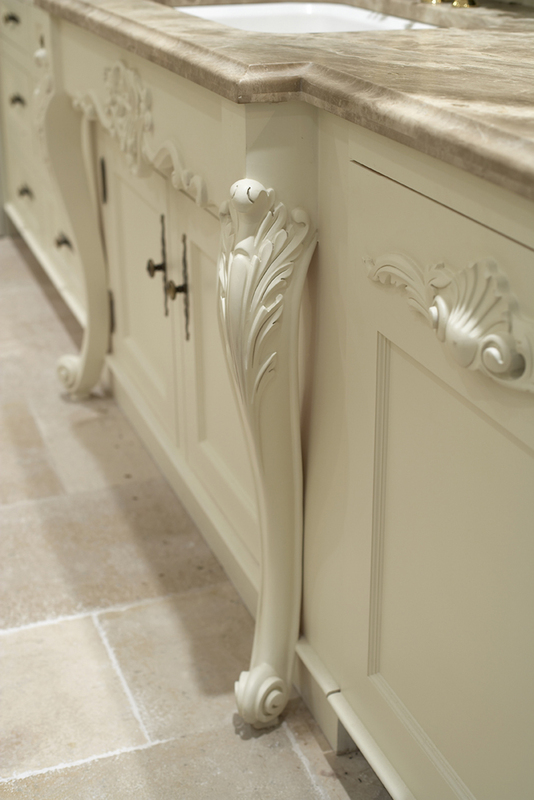 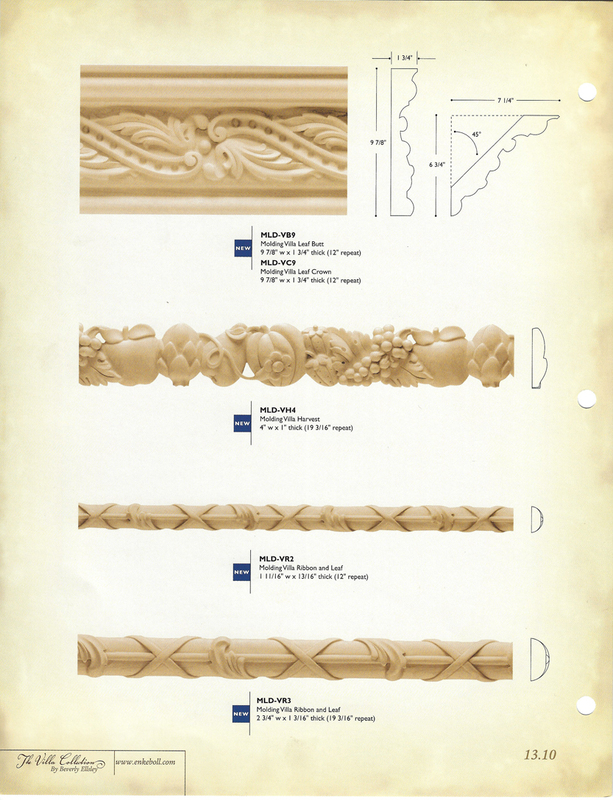 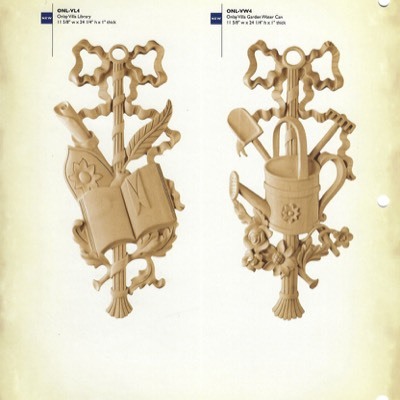 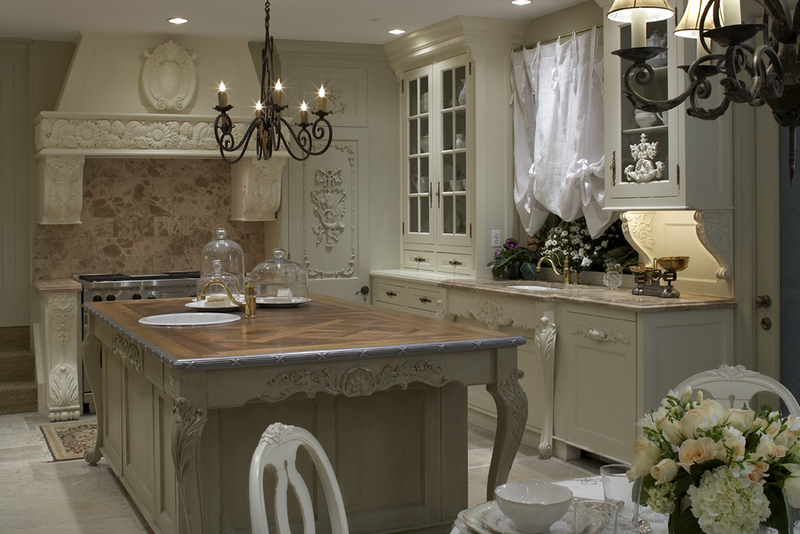 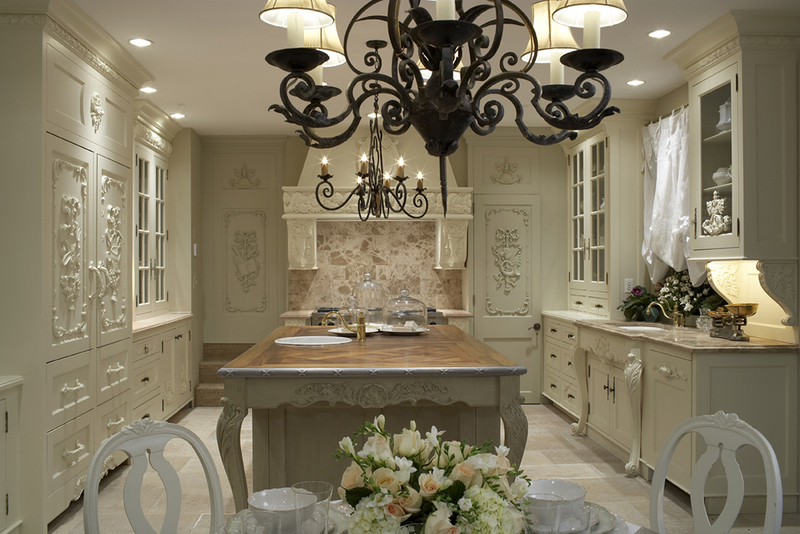 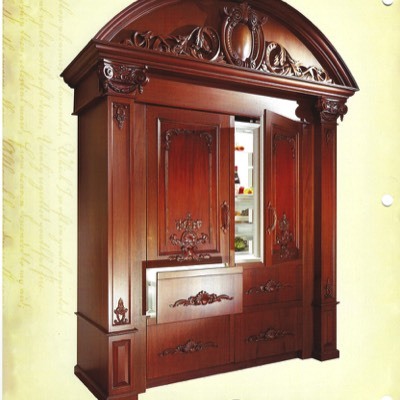 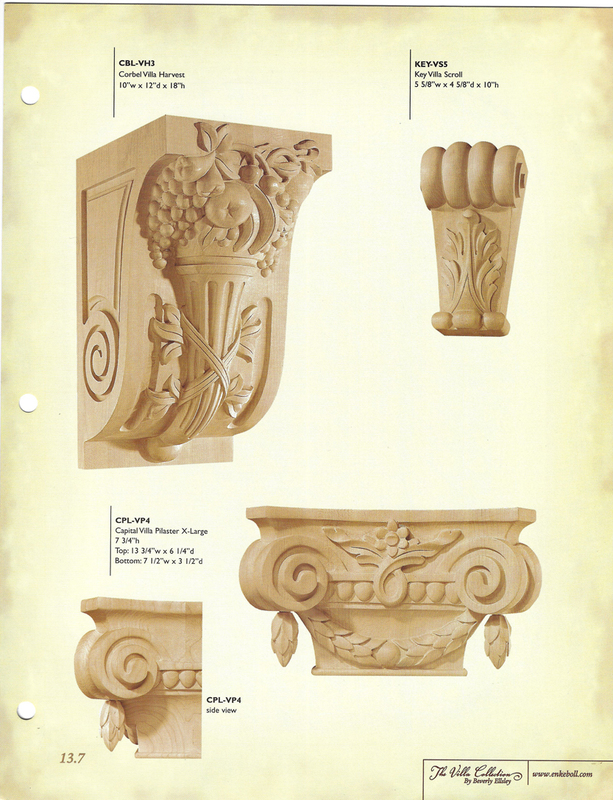 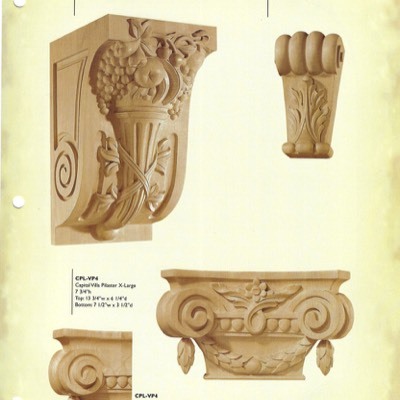 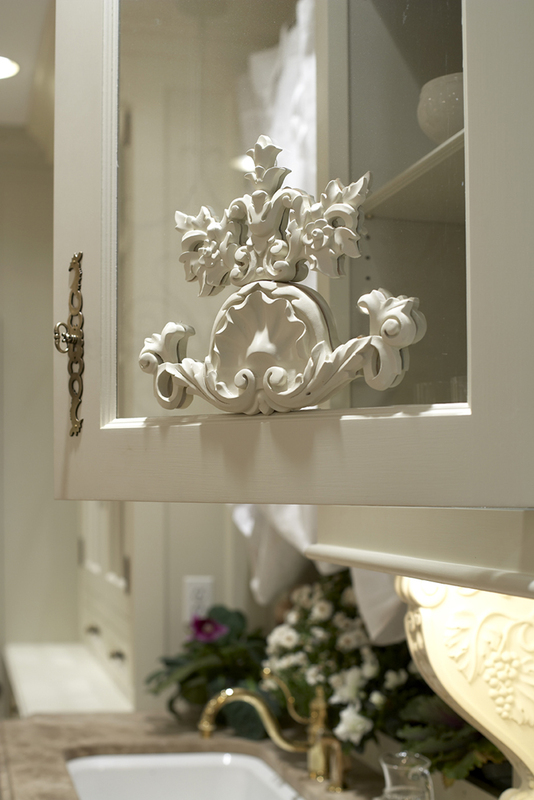 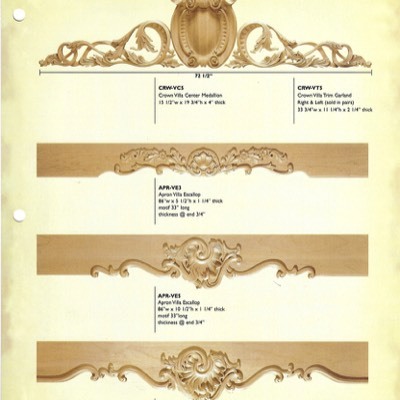 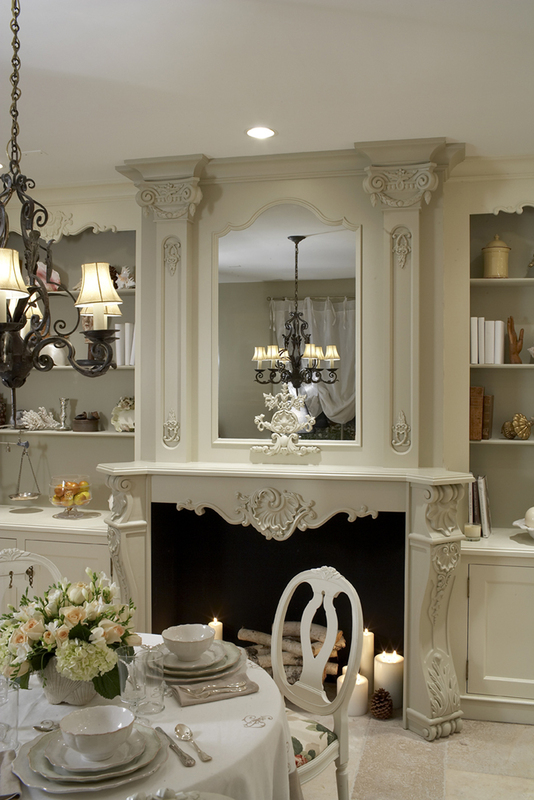 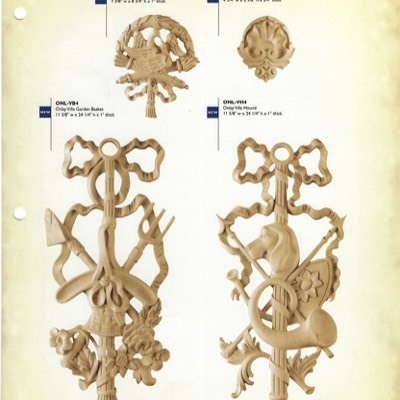 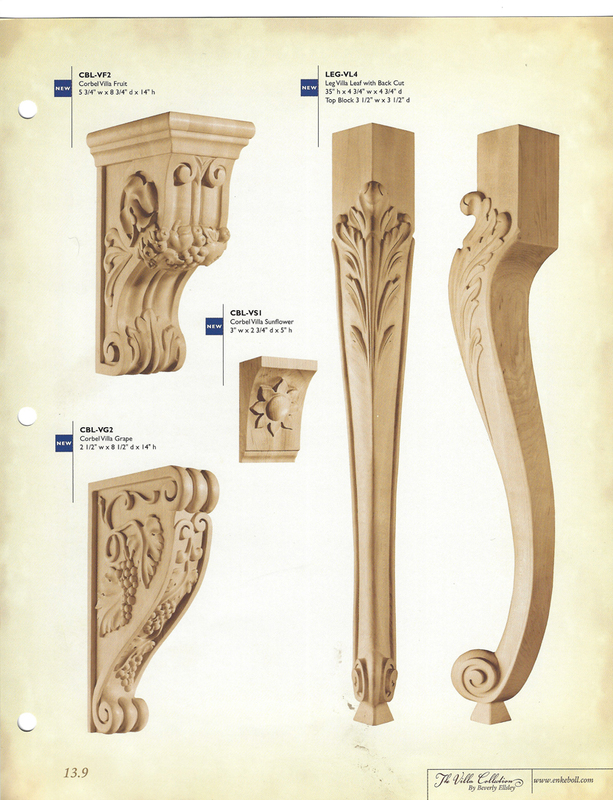 They were of French and Italian classical background to be used for cabinet work and architectural detailing. 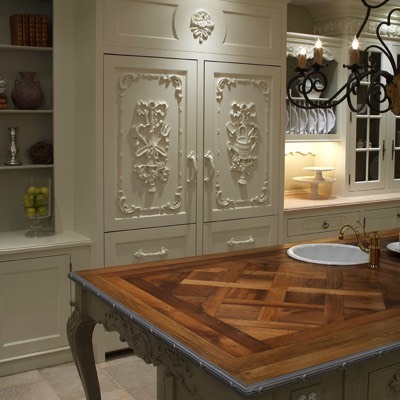 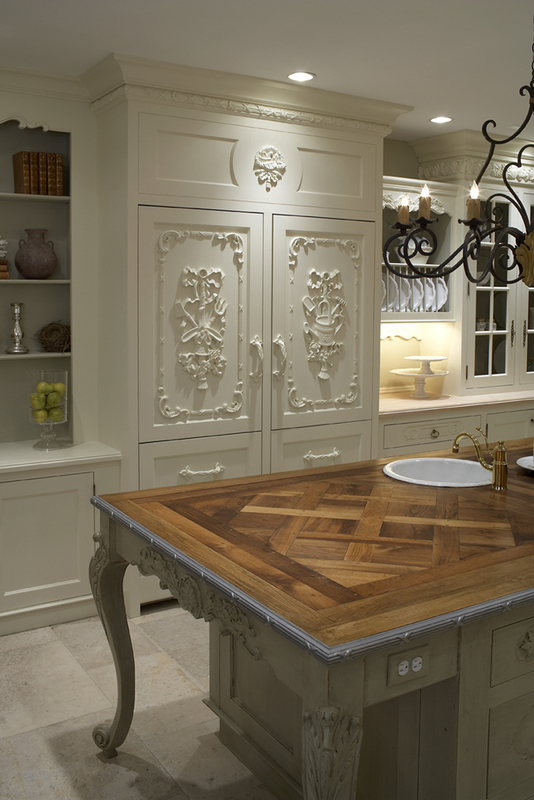 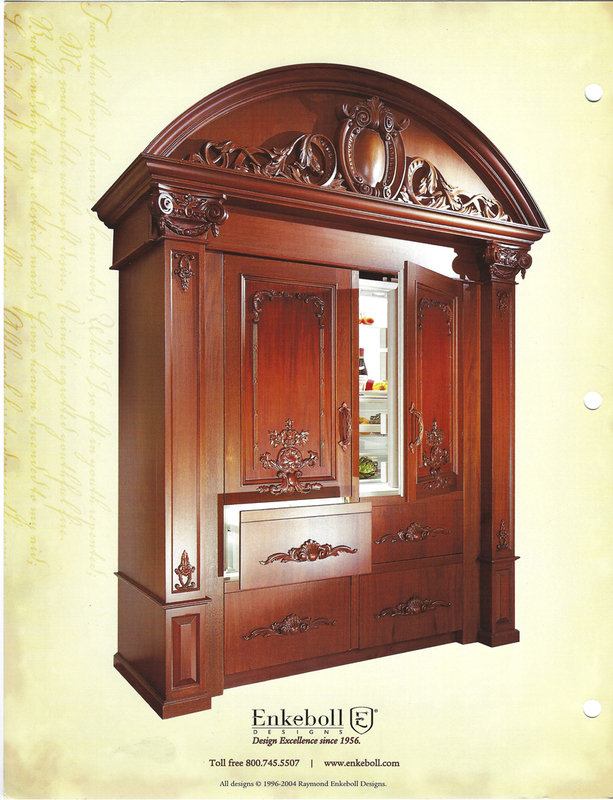 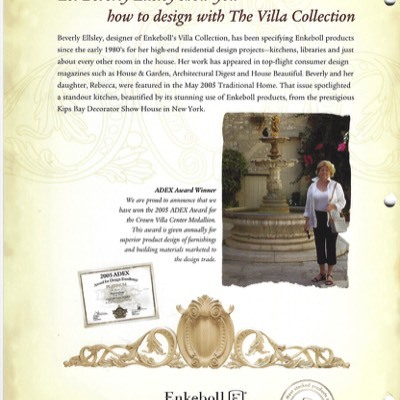 I had been using Enkeboll products for my own kitchen cabinet work for my clients since the late 1980s. 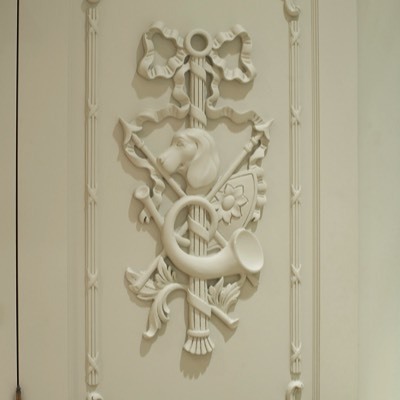 After producing the Villa Collection for Enkeboll, I designed a room for the French designer show house in New York City utilizing a number of these pieces. 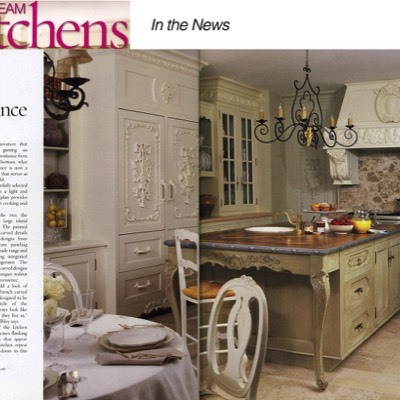 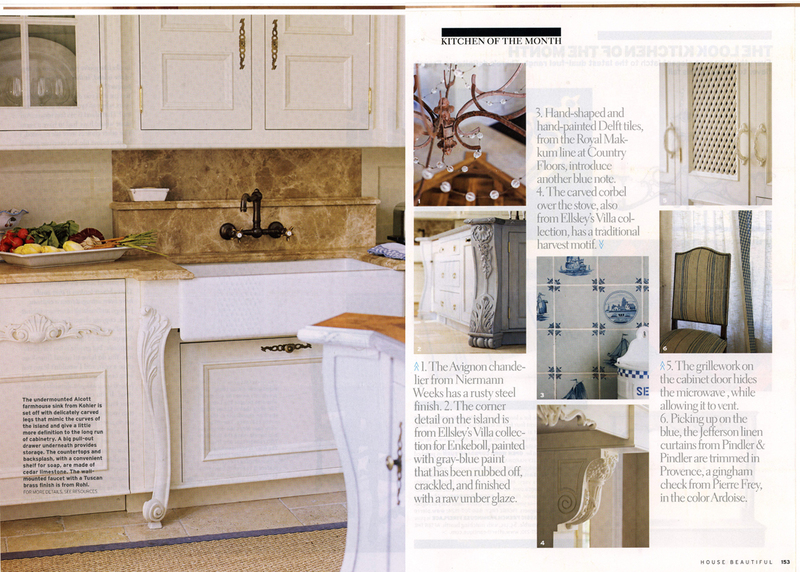 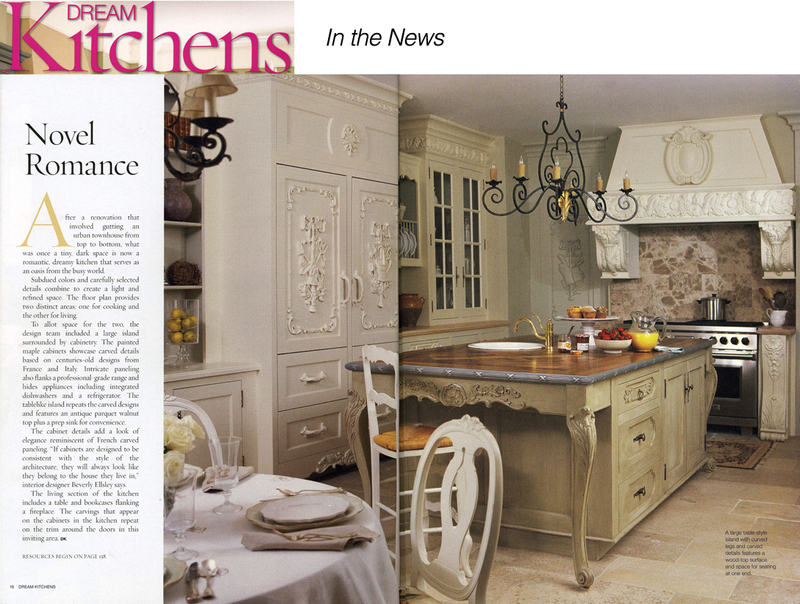 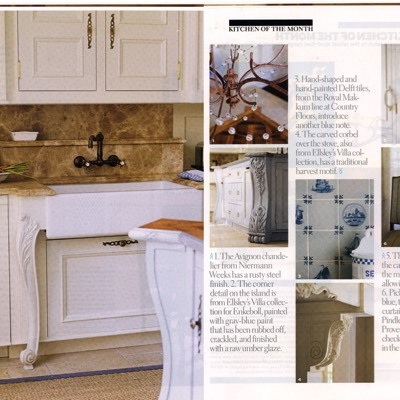 It was published twice in Dream Kitchens and then in Beautiful Kitchens. 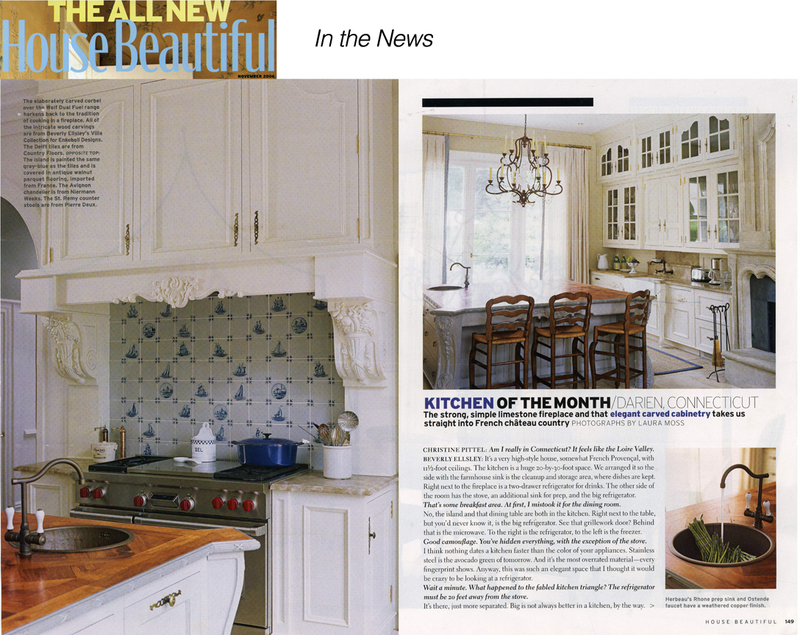 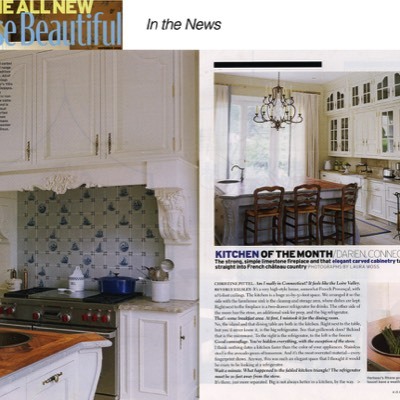 I also used it for a client’s kitchen which was featured in House Beautiful as the Kitchen of the Month and again in Beautiful Kitchens by Hearst Magazines. 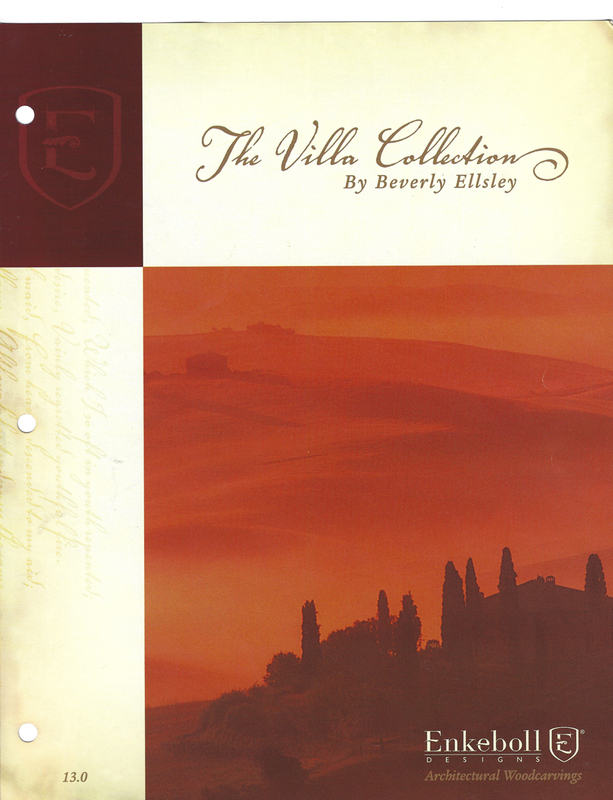 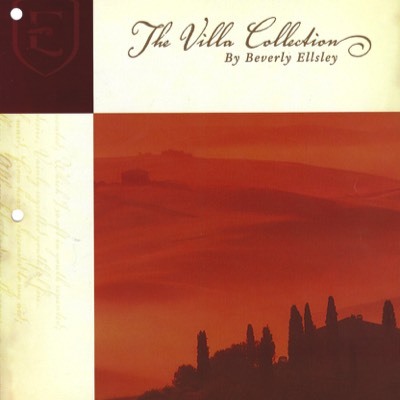 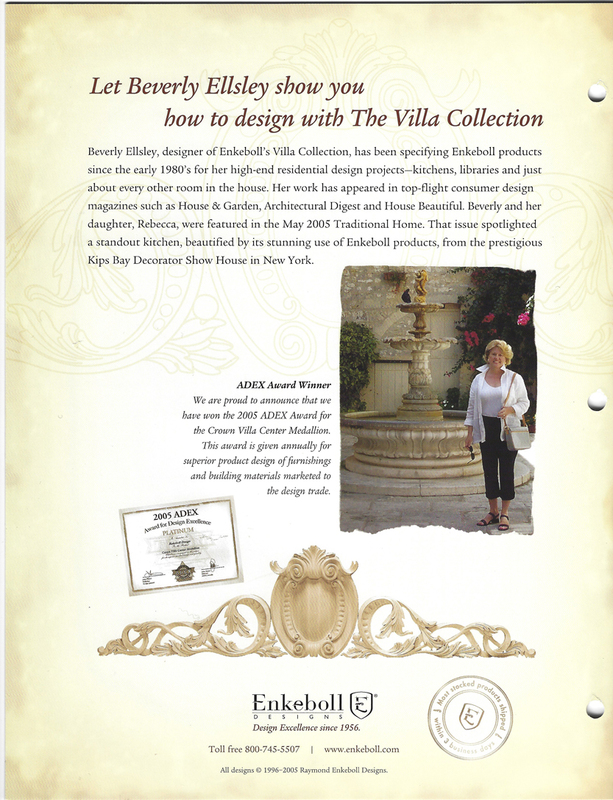 I had also produced a design portfolio guide for other industry professionals to use the Villa Collection products.